With the holiday season upon us, many of us may be bemoaning our lot — the lack of a coat closet or the absence of a dining room. Perhaps it’s the fact that our home has no “flow.” If you love to entertain but you’re feeling a bit restricted by your present space, here are a few things to look for next time you’re in the market for a home. 1) A real entry hall or foyer. Many of us overlook the entry way when shopping for a home, but once you move in, you’ll notice it’s absence if you don’t have one. 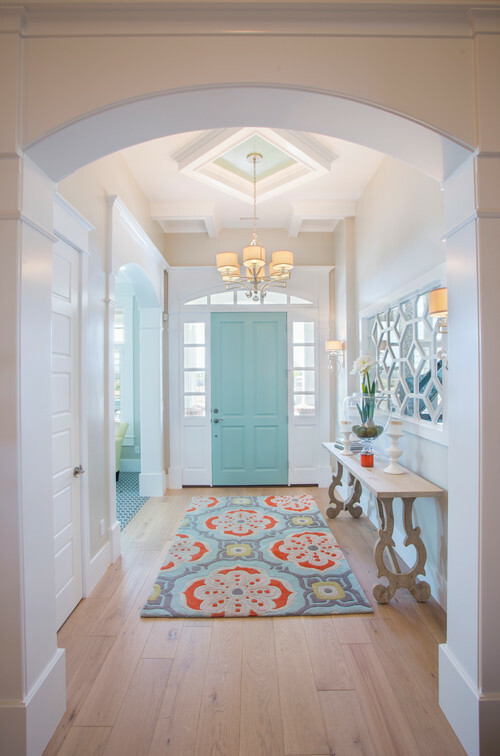 A good entry way is spacious enough to allow a space for guests to enter and remove their coats and/or shoes. It should have good lighting for guests searching for keys. Outside the entry door, there should be a covering that protects visitors from the rain. Don’t forget a rug to protect floors from wet shoes and provide a soft pad if you ask guests to remove shoes. An umbrella stand is a welcome touch. 2) A decent-sized coat closet, preferably in the entryway. When you’re having a party, one of the big dilemmas always seems to be where to store the coats. If you’re unlucky, you only have the bed as an option. 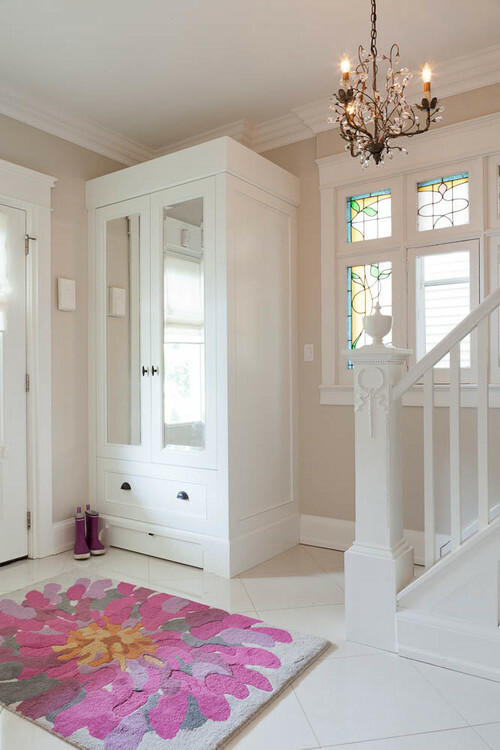 If you’re lucky enough to have a decent-sized coat closet, preferably located right in the entry, you can stow away guests’ coats and sweaters out of sight right there. When it’s time to leave, guests can easily find their coats without having to tramp through your bedroom. 3) An open concept floor plan. 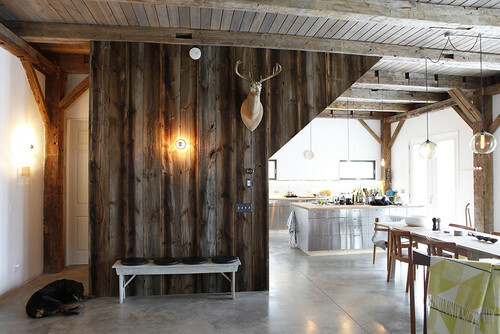 While some are not fans of open concept, nothing makes for throwing a better party. Guests can mix and mingle and open concept plans are flexible enough to allow for a variety of seating arrangements, whether you’re hosting your book club or hosting poker night. Many open concept plans feature an island between the kitchen and dining room with counter seating. This is another boon to entertainers who can use the island for extra seating, or as a buffet where guests can serve themselves. Another plus: the cook doesn’t have to be isolated in a closed-off kitchen. 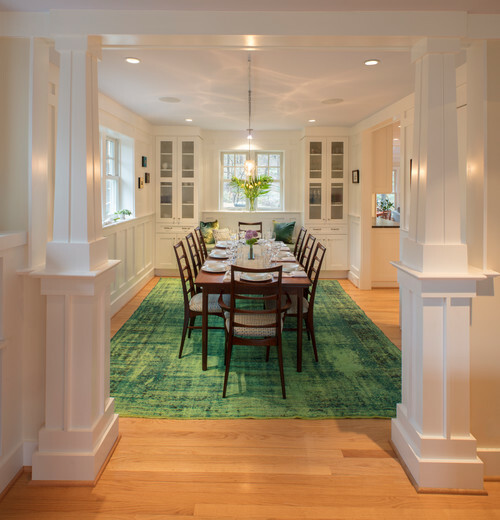 4) If you don’t like open concept, a good-sized formal dining room. 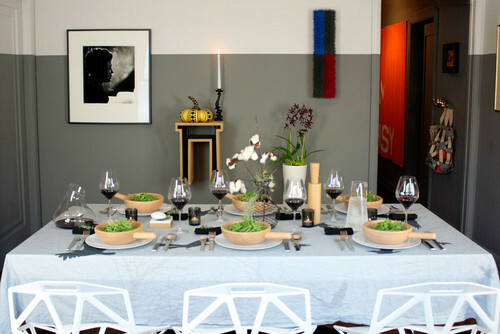 Nothing can beat the coziness of a formal dining room for a sit-down dinner. Look for a dining room with maybe a built-in china cabinet and fireplace. 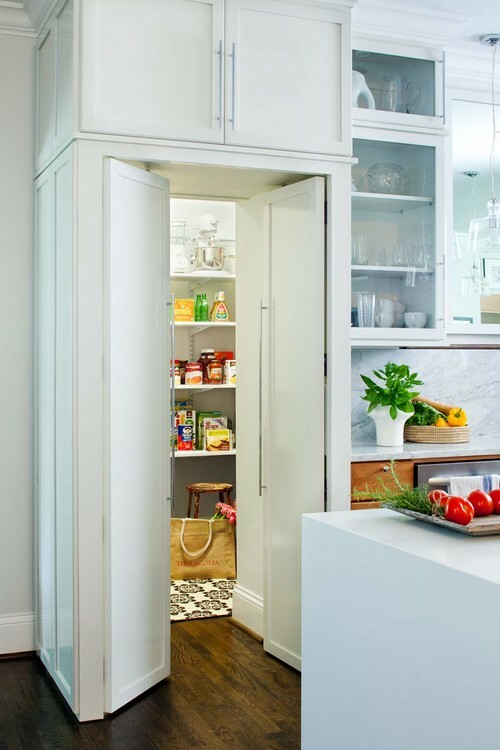 This one may be less obvious to many of us, since it is a bit of a rarity in homes nowadays, but having a walk-in pantry is a boon for those who love to entertain. There’s always a space to store extra ingredients and platters. Make sure your pantry has deep-shelving and good light. 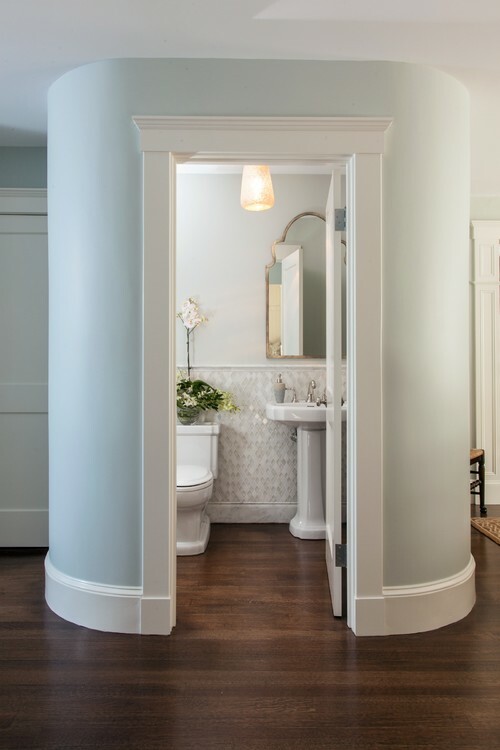 6) A powder room on the first floor. Inevitably, guests will need to use the bathroom. Make things easy for them by looking for a layout where the bathroom is located on the first floor, preferably near the entry. Having a guest bathroom also makes your life simpler, since you won’t have to clean up your private bathroom every time you have guests over. 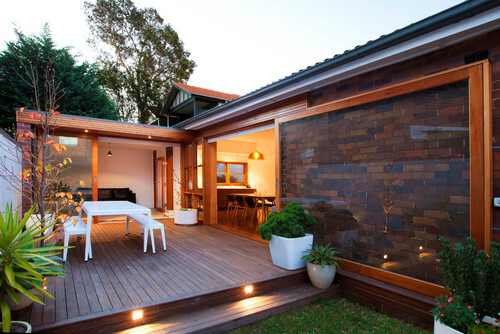 7) A patio or deck. This is especially useful if you live in a warm weather climate where you’ll want to host barbecues and cookouts. 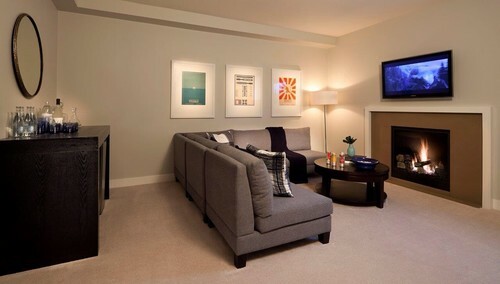 8) If you have kids, a basement recreational room. This may not be necessary for smaller families or those without kids, but larger families often make use of a separate entertaining space where the kids can go play or where dad and his buddies can watch the big game in peace. Indoor-outdoor flow is great for large parties and for summer gatherings. 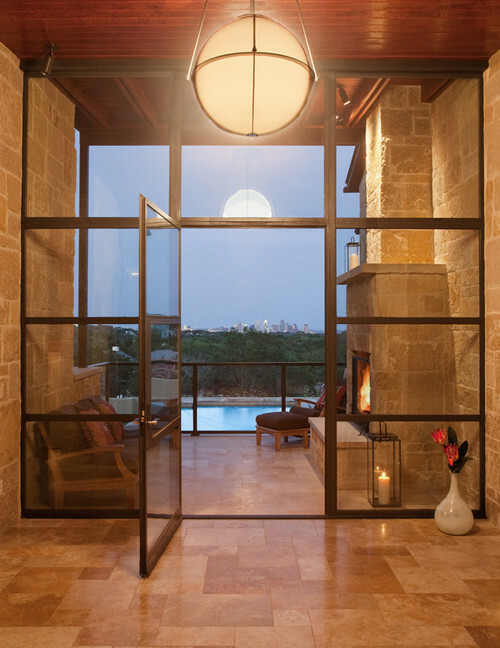 A sliding glass door that gives you direct access to a patio or garden is a great feature to have and enjoy when you entertain. If you are able to find a home with most of these features, we guarantee that you’ll be able to throw fun, stress-free parties. So don’t forget to take our checklist along, next time you go house-hunting! This entry was posted on Friday, December 22nd, 2017 by preynolds and is filed under Uncategorized. You can follow any responses to this entry through the RSS 2.0 feed. You can leave a comment.